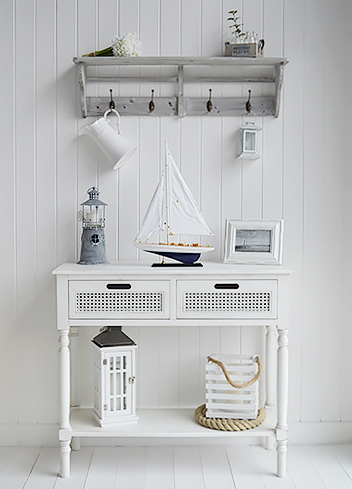 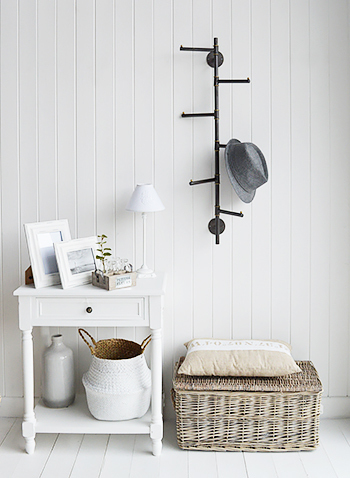 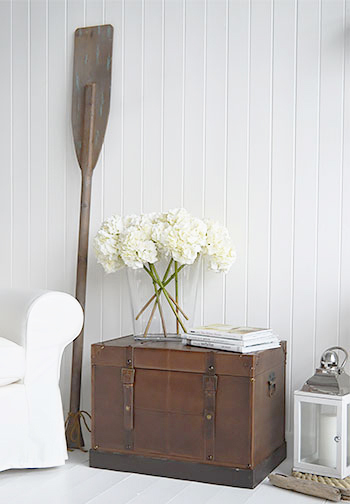 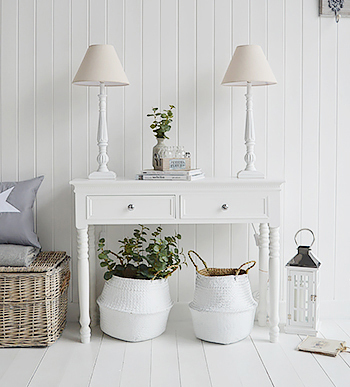 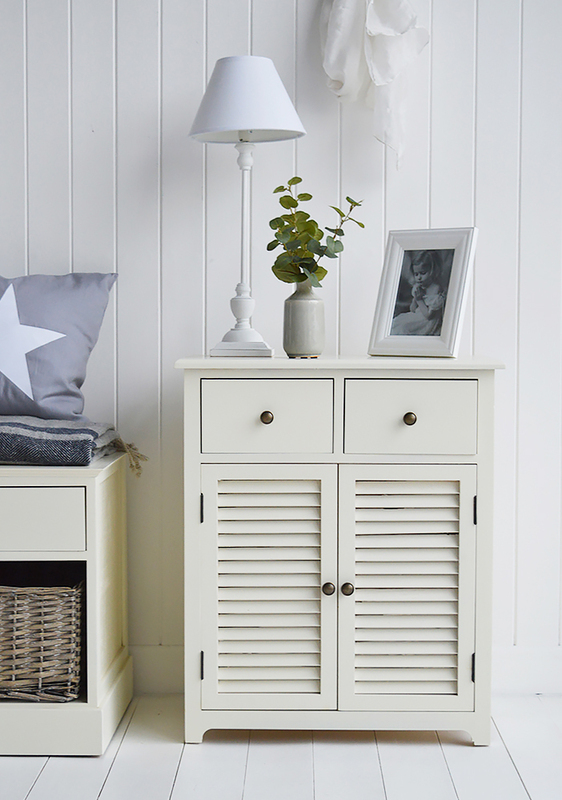 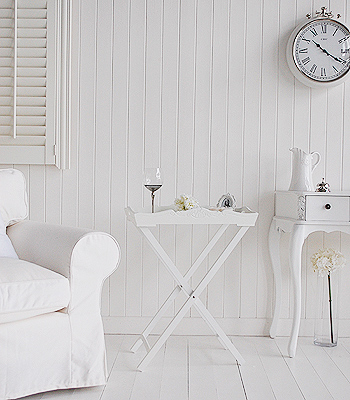 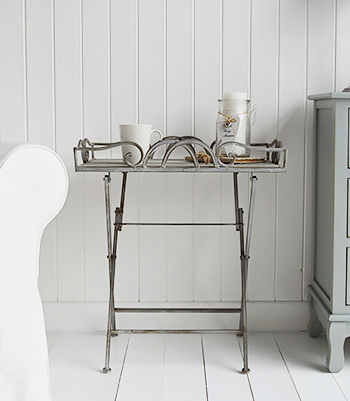 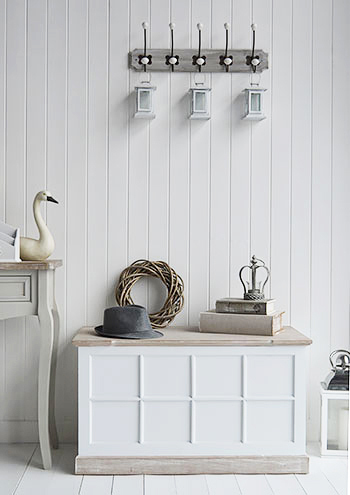 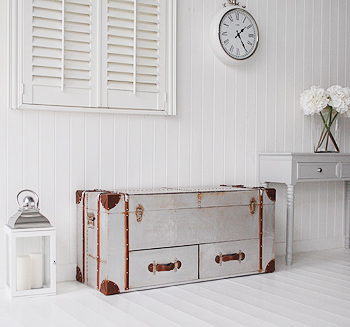 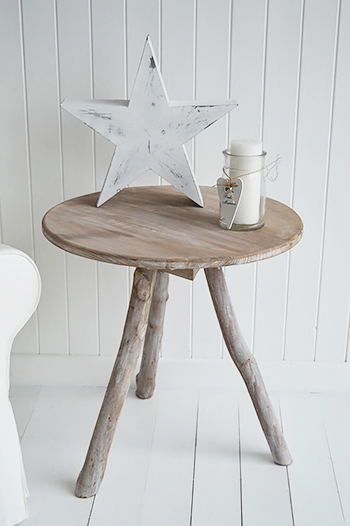 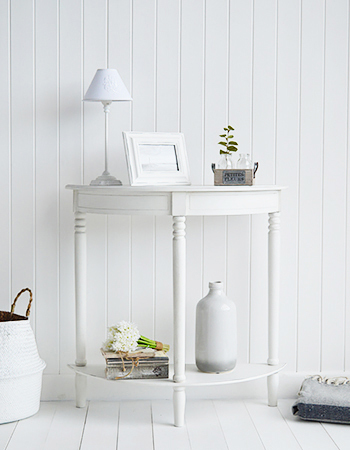 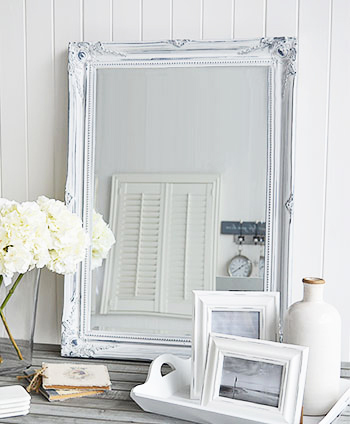 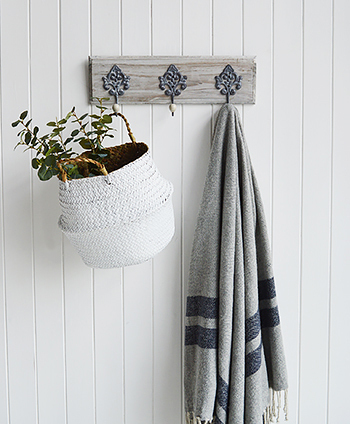 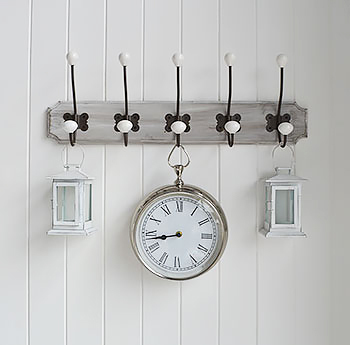 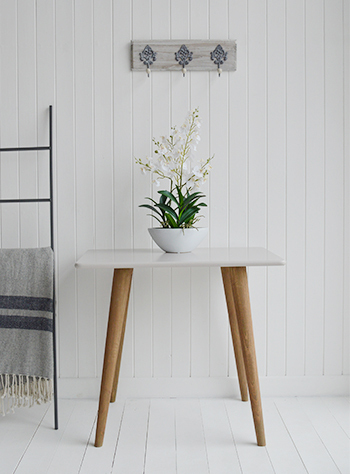 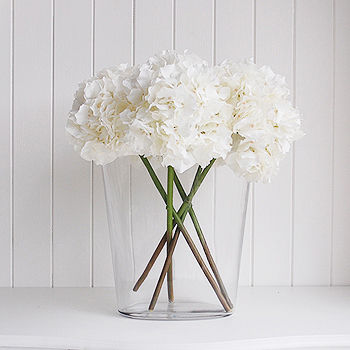 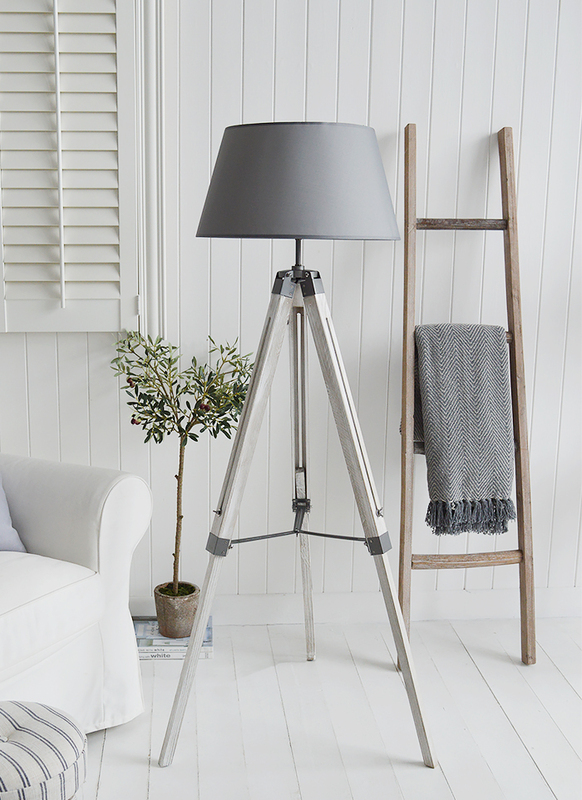 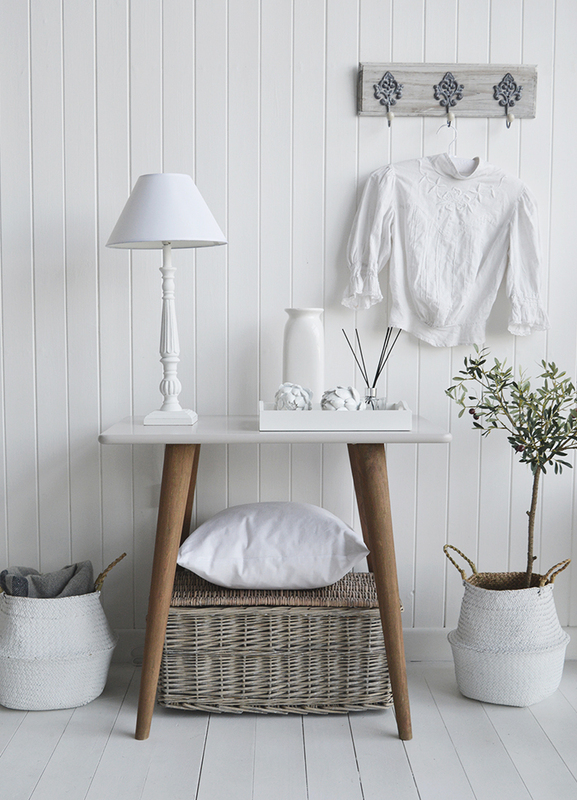 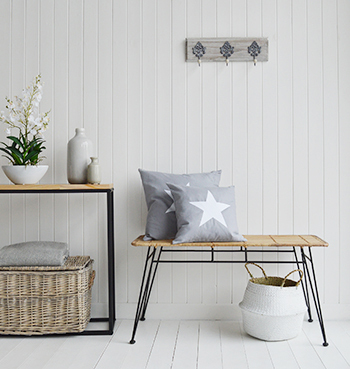 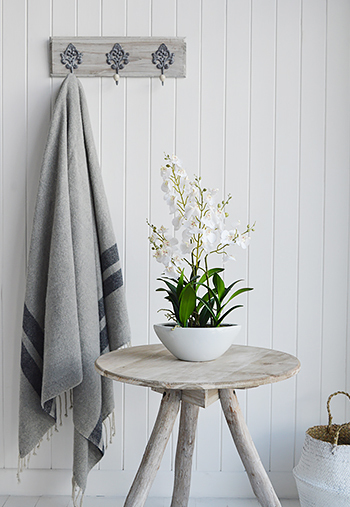 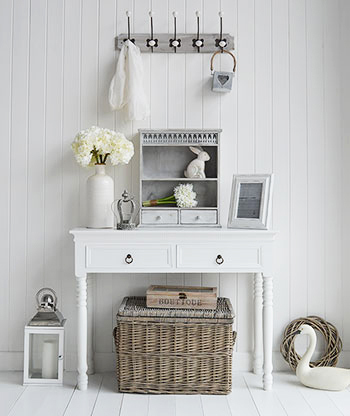 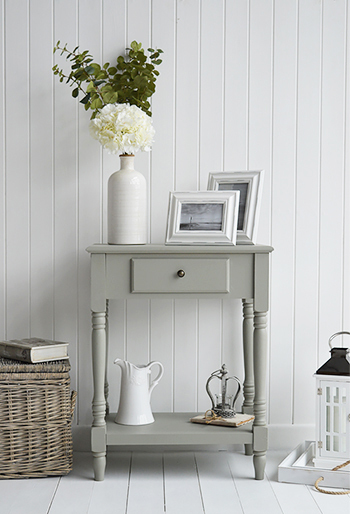 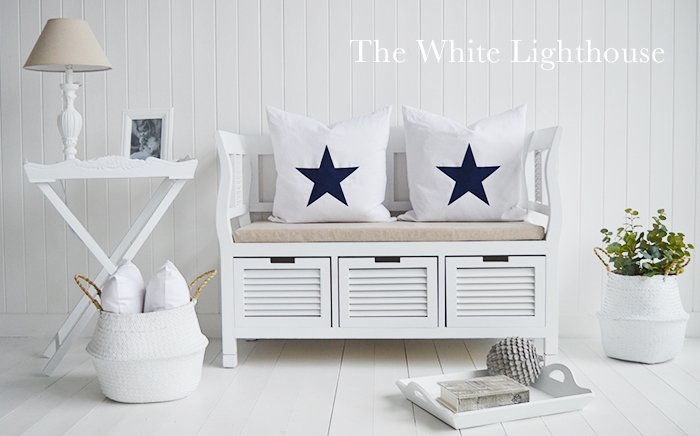 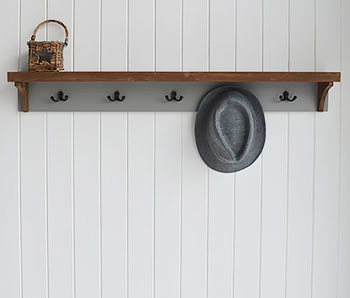 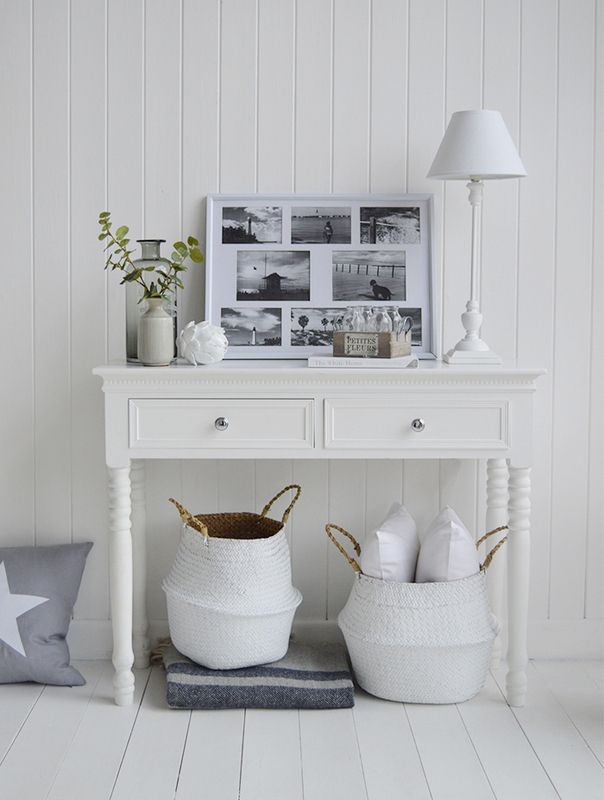 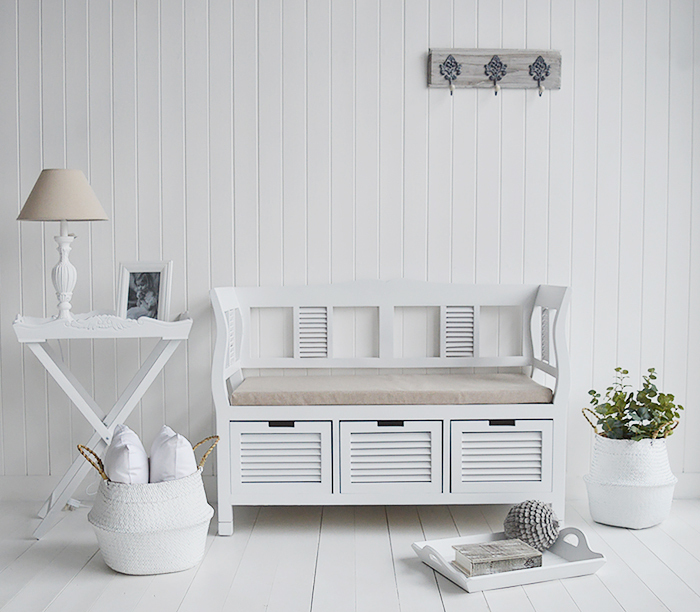 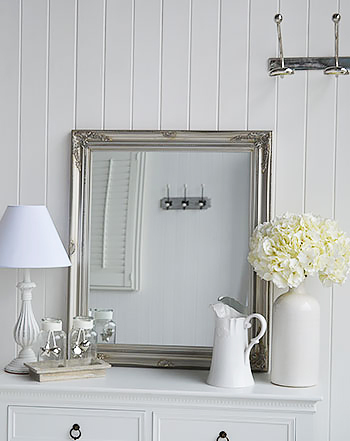 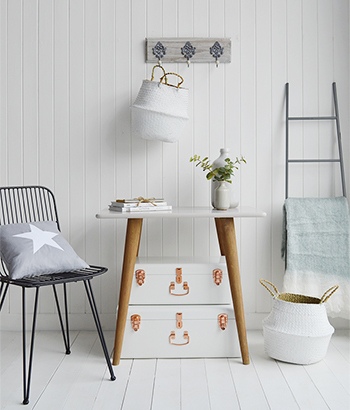 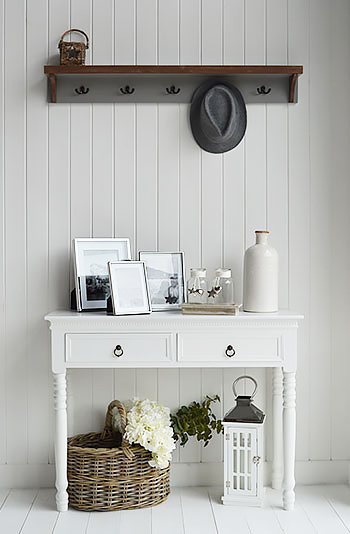 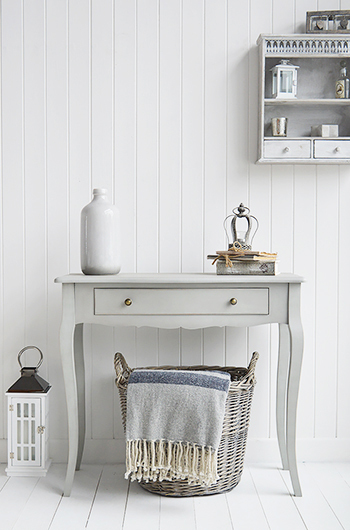 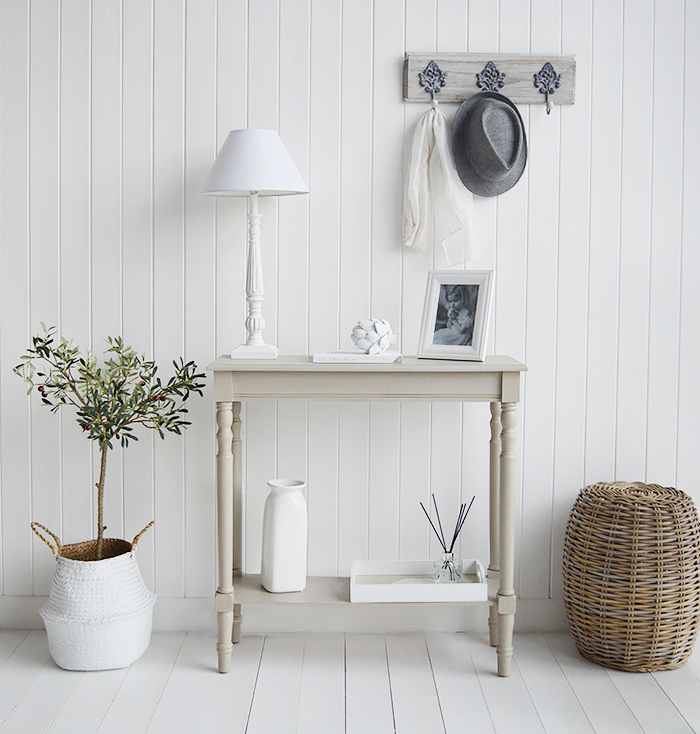 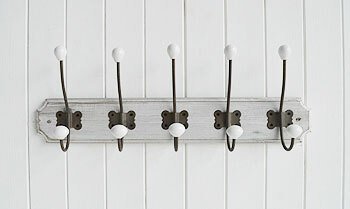 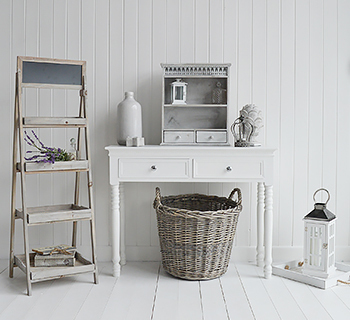 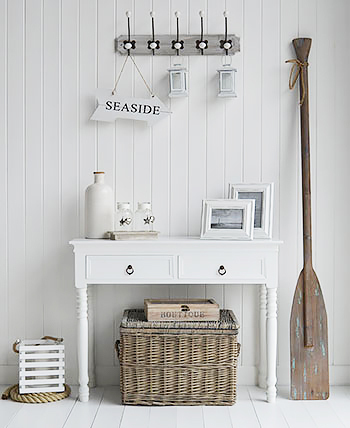 White and Grey Accessories for a bright and airy hallway. 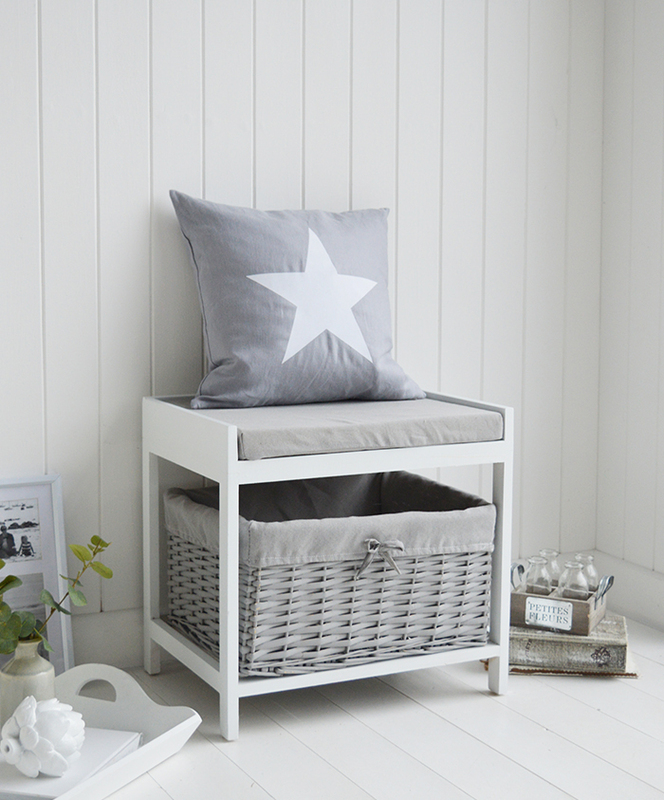 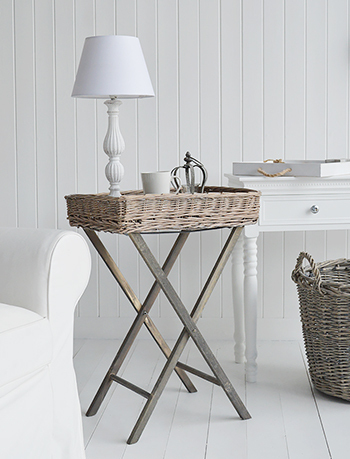 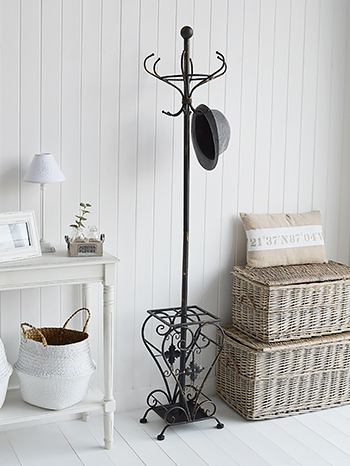 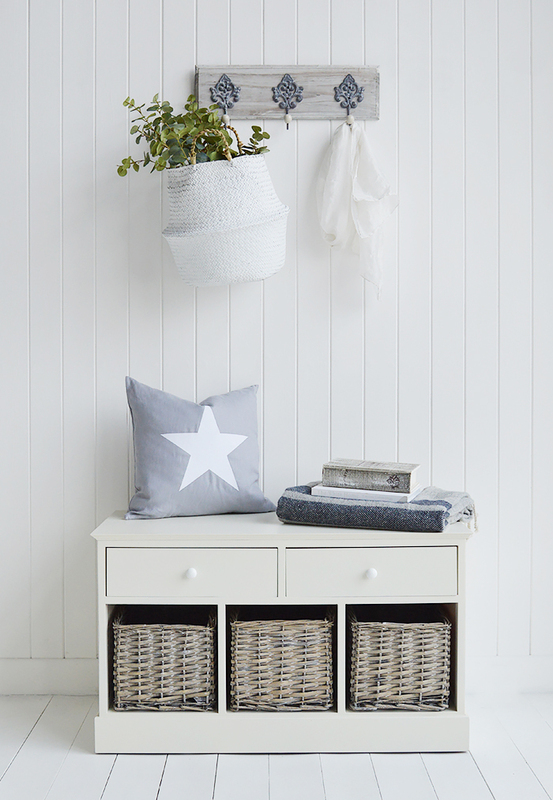 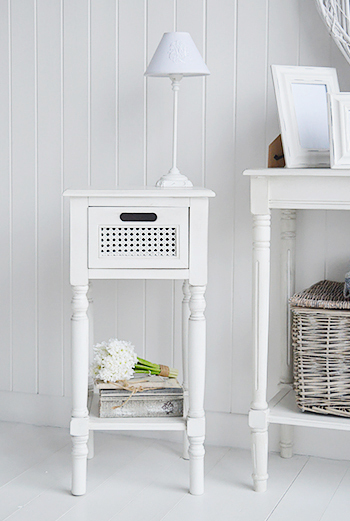 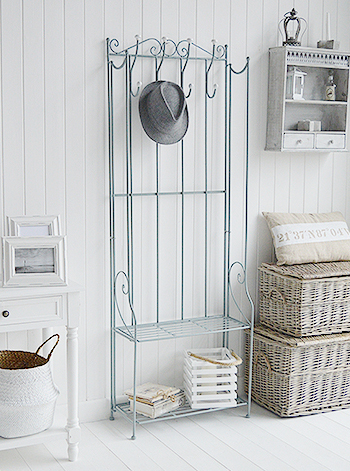 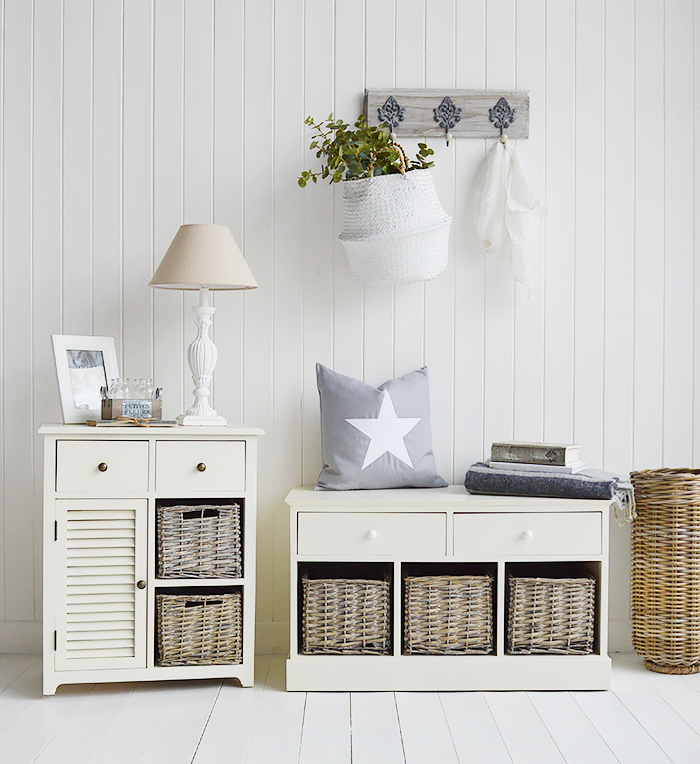 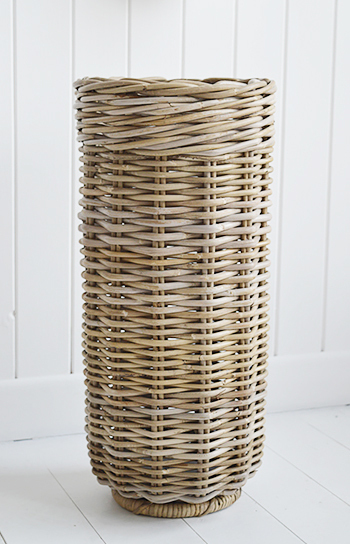 Grey Willow basket offers extra storage under the hall table for shoes. 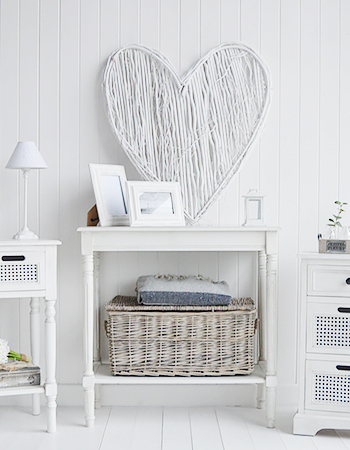 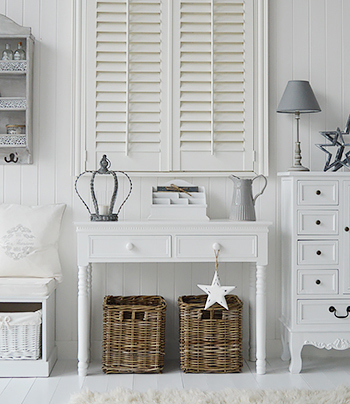 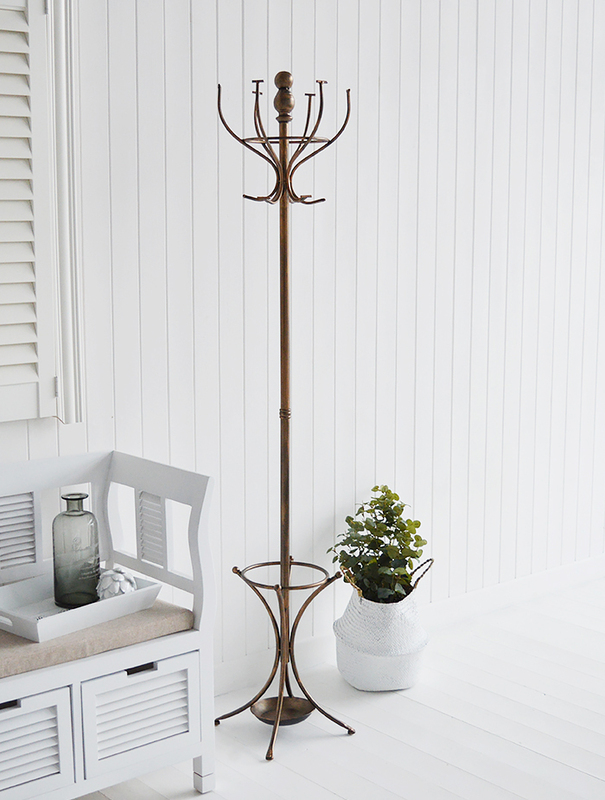 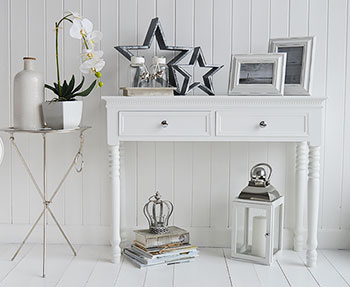 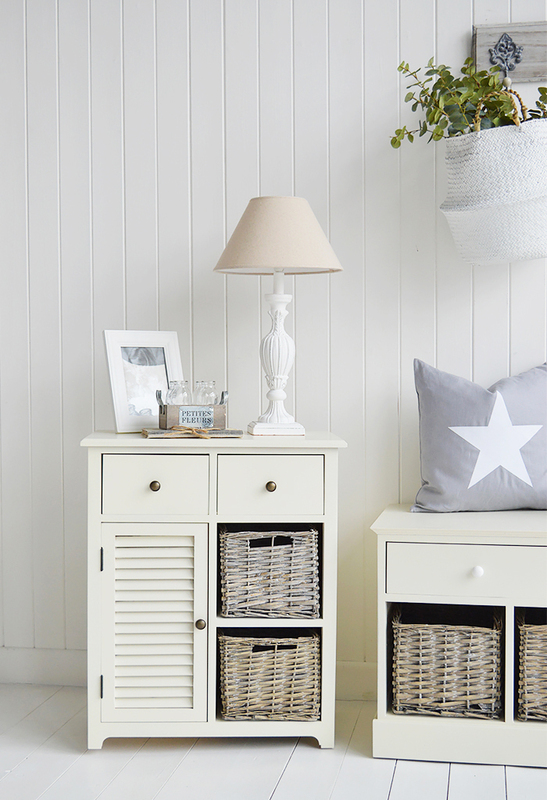 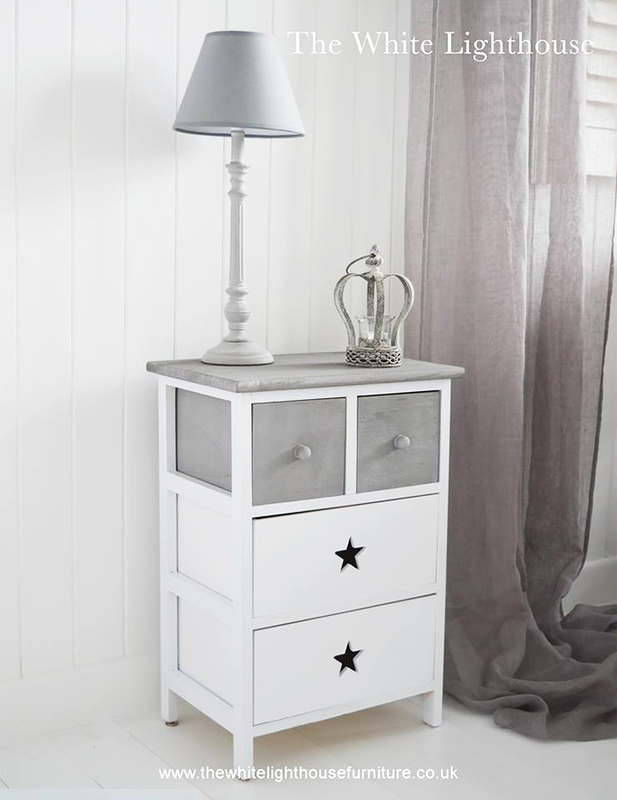 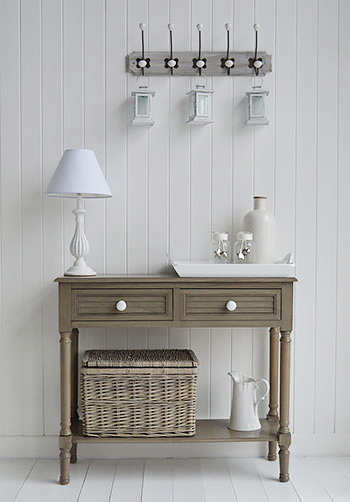 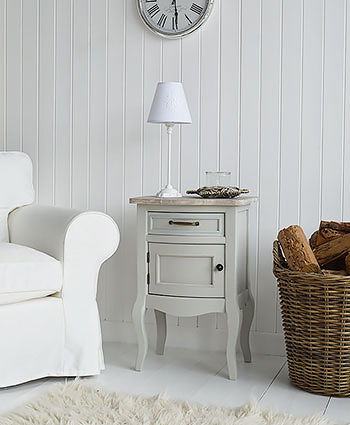 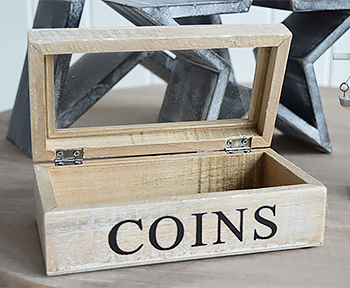 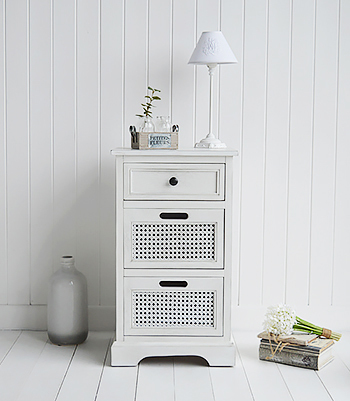 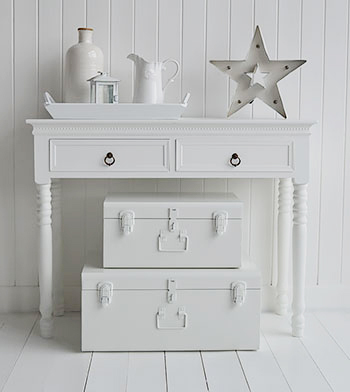 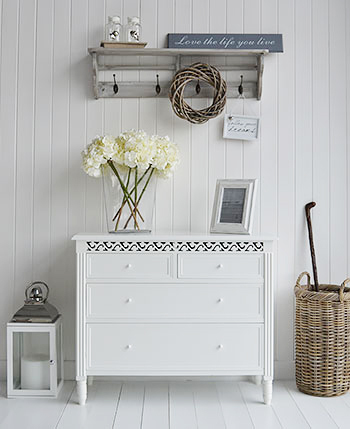 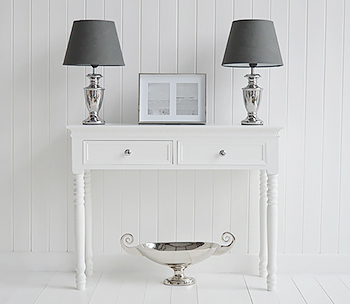 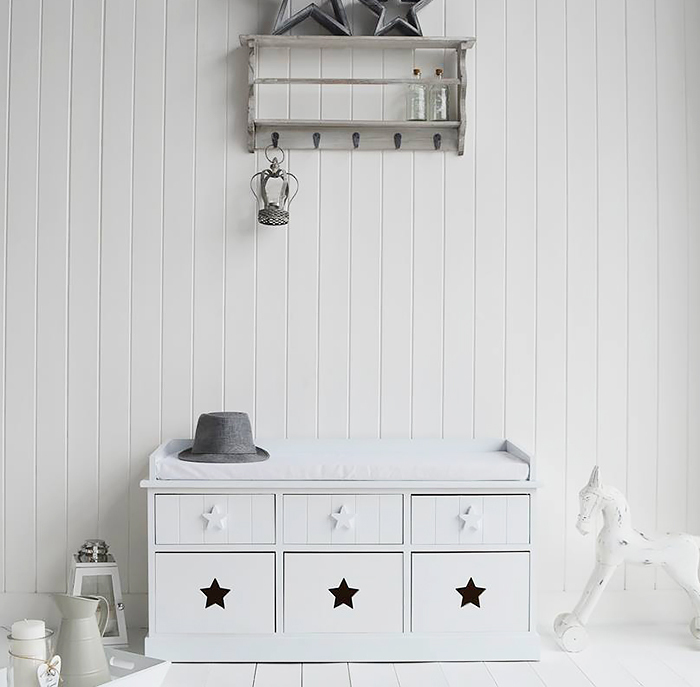 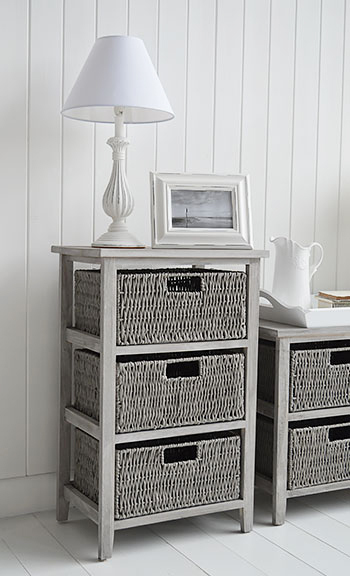 Have you thought about a chest of drawers when decorating your hall, great idea for lots of storage and place to set lamps and can be accessorised.